It’s time to go for the 2nd leg of Champions League. 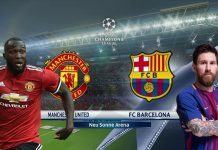 Manchester United trail by 0-1 and will take on Barcelona at their home, Camp Nou. 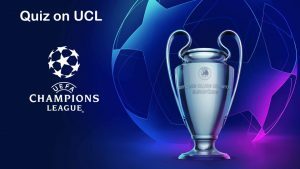 Ajax will travel to Turin to face Juve at Allianz Stadium this Tuesday night in what promises to be an extremely interesting match in a huge Champions League quarter-final. Since the Champions League evolved to give more unrecognised teams a platform to compete against the best clubs in the world, underdog victories in Europe’s most lucrative and prestigious cup competition have become increasingly unpredictable. 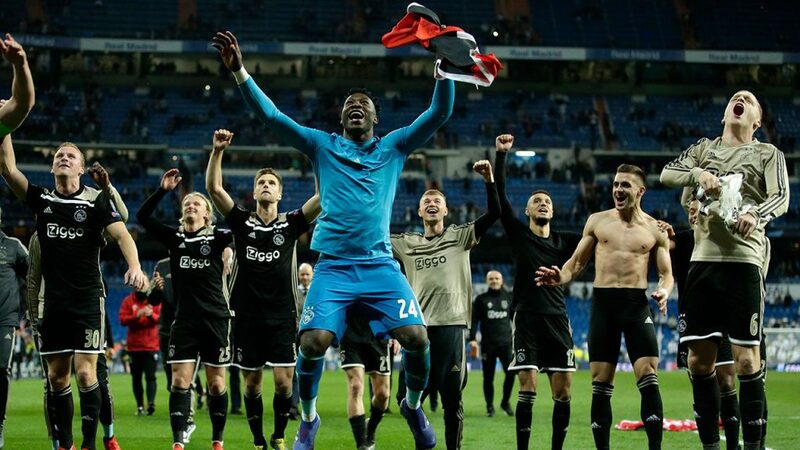 There have been many historic upsets over the years – the most recent being Ajax knocking out 13 times European champions Real Madrid at their own home turf, Santiago Bernabeu to progress from a Champions League knockout tie for the first time in 22 years. Ajax players celebrate the routing of Real Madri at Santiago Bernabeu. The underdog teams have definitely been able to make a name for themselves over the years, as we have witnessed smaller clubs coming back from the brink and snatching the unlikeliest of wins from the jaws of the favourites. Here are the best underdog victories in UEFA Champions League history. Real Madrid players as Ajax’s Dusan Tadic celebrates scoring his side’s third goal during the 2nd leg of Round of 16. 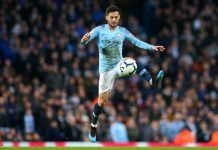 Trailing 2-1 from the first leg, the young millennial boys from Amsterdam displayed a sheer performance at the home of the European champions with no fear as they danced through to the quarter-finals. 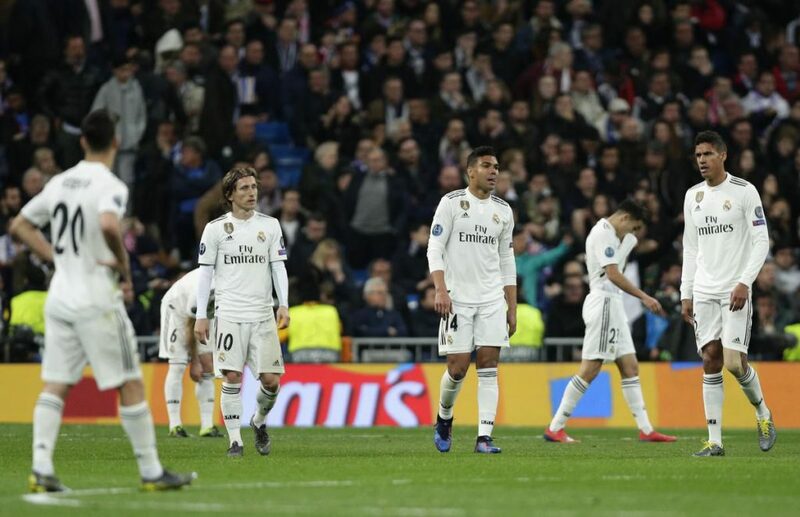 The visitors needed at least two goals in Madrid and learned from their wastefulness in the first leg to silence the home support inside 18 minutes. Real’s 4-1 defeat by Ajax was their biggest ever margin of defeat in a home knockout game in European competition. After three consecutive Champions League titles, the most successful side in the competition’s history did not see this coming. Ajax forward Dusan Tadic was pivotal to his side’s devastating attack and their fairytale win, assisting two and scoring one in a complete performance that included five key passes. Ajax progressed to the quarterfinals with an aggregate score of 3-5. 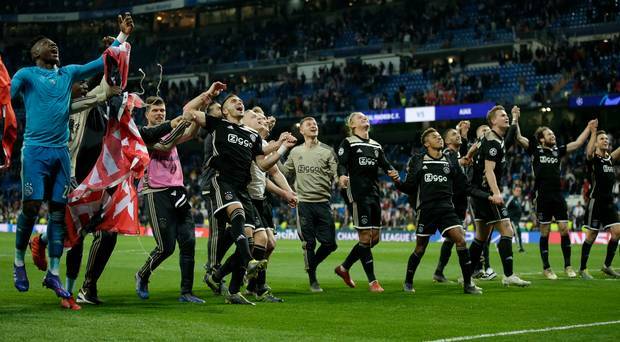 Ajax players celebrate after knocking holders Real Madrid out of the Champions League. After drawing 1-1 against Juventus in the first leg last week, the Dutch giants are still alive in the competition and have been playing with no pressure displaying all-around total football. Only the time will tell if the young boys from the Netherlands can upset the Old Lady at their own patch and create history by progressing to the semi-finals. 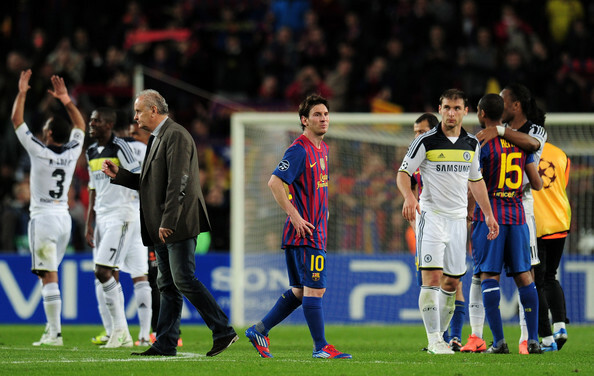 Chelsea displayed some scintillating performance when they went on to become the Champions of Europe in 2012. Nobody in this world would have predicted that the boys from London would be crowned as the European champs as they had some big players and clubs to compete against to stay alive in the race. Drogba’s first-half strike gave Chelsea a narrow yet hugely impressive victory in the first leg at Stamford Bridge (1-0). Barca boss Pep Guardiola, ahead of the 2nd leg said, “I don’t have any doubt that we will be in Munich”, with virtually no-one doubting his words and FC Barcelona’s talent, the football fraternity and the fans had already made their mind. Lionel Messi of Barcelona looks on at the final whistle during the UEFA Champions League Semi Final, second leg match between FC Barcelona and Chelsea FC at Camp Nou. Barca deservedly took the lead through Sergio Busquets and things got worse for the Blues less than two minutes later when John Terry was sent off for kneeing Sanchez from behind. Barca went 2-0 ahead through Andres Iniesta, although Ramires clawed a goal back in the first-half stoppage. 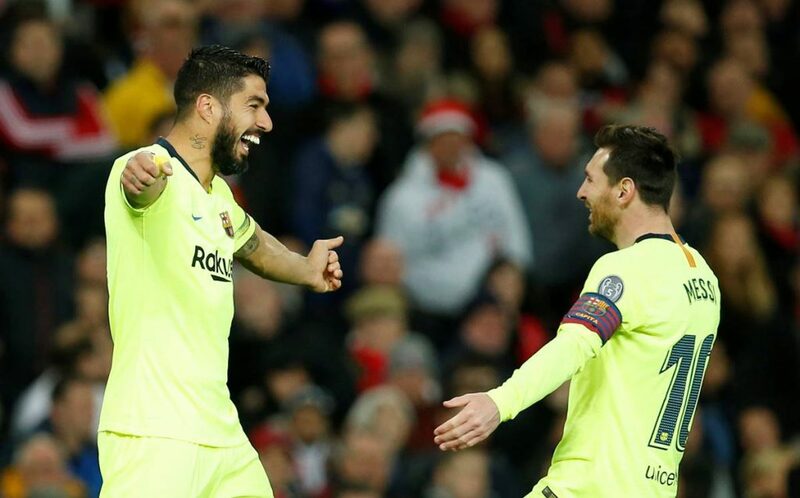 Lionel Messi hit the bar with a penalty and later to the post, but Chelsea somehow held out and Torres came off the bench to score late on and cap a memorable night at the Camp Nou. 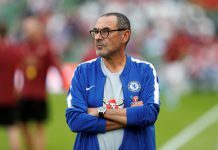 Chelsea progressed to the finals in Munich with an aggregate score of 3-2 to face Bayern to lift the magical Champions trophy. They went on to defy all odds and were the Champions of Europe in 2012 scripting football’s most iconic underdog story. Liverpool’s Steven Gerrard lifts the European Cup after beating AC Milan on penalties during the UEFA Champions League Final at the Ataturk Olympic Stadium, Istanbul. Almost every football fan knows the tale of this final, played at the Ataturk Olympic Stadium in Istanbul the 2005 UEFA Champions League Final between AC Milan and Liverpool is termed as the “Miracle of Istanbul“. This is how Milan lined up in the 2004-05 Champions League final against Liverpool: Dida, Cafu, Jaap Stam, Alessandro Nesta, Paolo Maldini (c), Andrea Pirlo, Gennaro Gattuso, Clarence Seedorf, Kaká, Andriy Shevchenko and Hernán Crespo. Almost every one of them is a Milan legend. AC Milan went 3-0 up at halftime and this looked to be one of the most one-sided finals ever, with AC Milan playing some of the most beautiful football seen in a Champions League final. Liverpool players celebrating after the penalty shootout. Liverpool, down 3-0 in the first half, played out of their wits to bring the scores level thanks to goals from Steven Gerrard, Vladimir Smicer and Xabi Alonso. 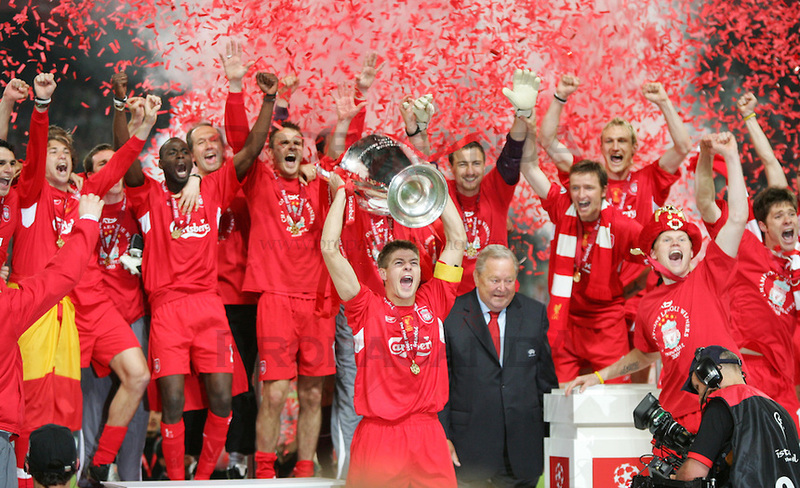 With nothing separating them after extra-time, Dudek came to Liverpool’s rescue, saving Shevchenko’s final penalty to give Liverpool their fifth European title to turn the odds and register the greatest comeback ever and also one of the greatest upsets in the history of the Champions League. The 2003-2004 Champions League campaign was marked for its growing upsets and the rise of underdog teams. Despite being a team which included stars like Patrice Evra, Emmanuel Adebayor, Ludovic Giuly, Fernando Morientes, Dado Prso, Jerome Rothen, Sebastien Squillaci, Gael Givet, nine-times champions, Real Madrid had walked their way to an impressive 4-2 victory at the Bernabeu. AS Monaco celebrate after scoring a goal. After losing the first leg 4-2 at the Bernabeu, nobody gave Monaco a chance, especially after they went 1-0 down and 5-2 on aggregate—35 minutes into that second leg in France. Ludovic Giuly volleyed them level on the night just before the interval. Fernando Morientes – on loan from Madrid – headed AS Monaco’s second and Giuly flicked in the overall winner on 66 minutes to seal Real’s fate and send the tournament’s biggest surprise package into the semifinals. It was a result which proved to world football just how badly complacency can strike. Previous articleLegacy Of These Greatest NBA Stars Comes To An End- A Brief Look On Their Decade Long Careers. The Champions League is one of the world’s most renowned sporting leagues. Play this quiz to check how much do you know about CL. Cristiano Ronaldo – The greatest Champions League performer of all time?